Temple of the green paradise. In the village Kyara in the Alwar District in the north of Rajasthan a green paradise is growing. 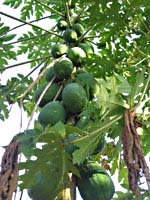 You will find there citrus, amla, papaya, jackfruit and other fruit trees. Also vegetables like tomatoes, ornamental flowers like marigold and oilseeds like arandi. Everything is growing here. There is a bore well and in the neigbourhood a small mud dam with an artificial lake. Another small dam to collect rainwater will be built next year to get a second pond for the village and to approve the humidity of the soil. 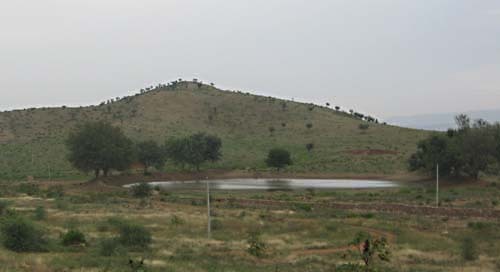 The first trees are planted already on the hills in the neighbourhood of the pond to prevent erosion. After 10 years the whole place will be completely green. At that time nobody will be able to imagine this was a very dry, desert like place before. Artifical lake to collect rainwater for better humidity of the soil. The small ngo Upkar Sansthan organised the whole project. It all started seven years back with a campaign of Upkar Sansthan against dowry. 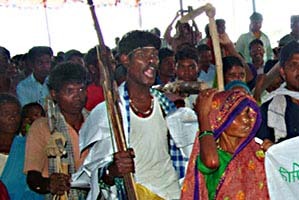 It organised a big festival with 22 weddings at the same time for poor families, without any dowry. Upkar Sansthan collected almost 4.7 million rupees (= 75,000 euros). A part of the money was for presents for the new married couples. The rest was for the project. 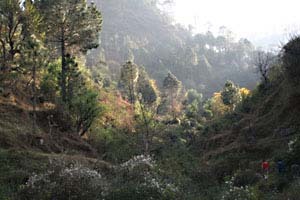 The panchayat (community council) gave 40 hectares for free. 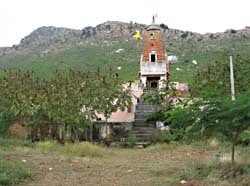 The villagers worked as volunteers to build a road, a temple and houses for families to stay when there is a festival or a training. Upkar Sansthan is a small development ngo. It assists villagers with the construction of water harvesting structures for better agriculture, it supports women groups and starts village schools, it organises health camps, gives trainings about organic agriculture (e.g. vermi compost) and helps with starting small village enterprises. 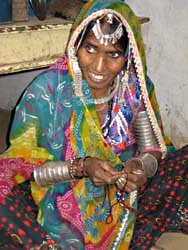 Lohar woman making a bracelet. At the same time Upkar Sansthan has campaigns. It supports the Luhars, a nomadic tribe, in their struggle to get a piece of land. 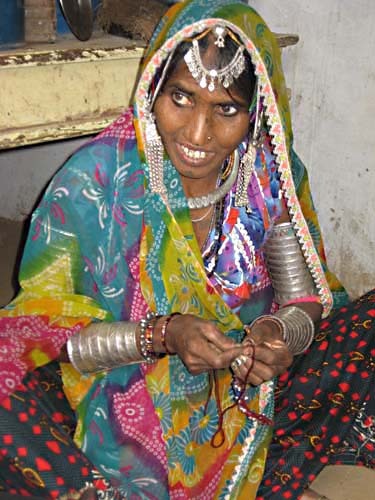 It helps forest dwellers in the Sariska Tiger Reserve in their resistance against displacement. 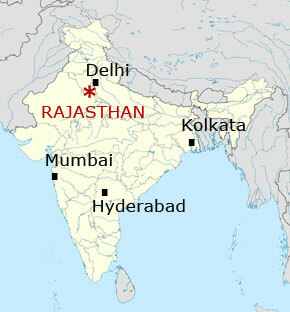 It stimulates people to participate in big rallies in New Delhi or Jaipur, the state capital, for a just forest law. Upkar Sansthan believes in the combination of constructive work to ameliorate the daily life of the villagers and political struggle to change unjust social structures.